Sinningia helleri is the type species for the genus, the first to be given the name Sinningia. It was lost to cultivation and believed extinct, before a small threatened population was discovered in 2015. This group gets its name from the fact that it includes the type species, Sinningia helleri. This was the first species to receive the published name sinningia, in 1825. It was rediscovered in 2015 after having been lost to cultivation for almost a century. 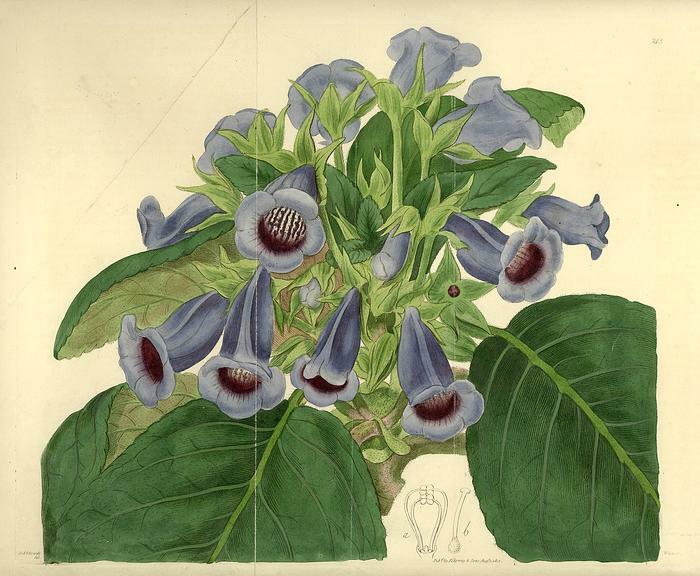 Sinningia speciosa was first published in 1817, in a different publication than this fine illustration by Loddiges in the same year. This group includes the most popular sinningia, the so-called “florist gloxinia”. 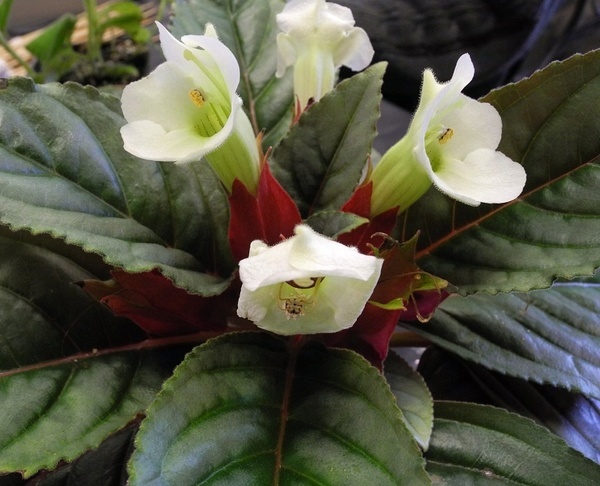 Sinningia speciosa is probably the second-best known member of the gesneriad family after the African violet (species and hybrids in Section Saintpaulia of the genus Streptocarpus). Field work over the past 20 years has revealed that S. speciosa is a very diverse species. There are more than 20 populations now known, mostly from the Brazilian states of Rio de Janeiro, Espirito Santo, and Minas Gerais. Research using DNA sequences has shown that the hybrid cultivars of this species are most closely related to the wild S. speciosa plants that grow near the city of Rio de Janeiro. S. speciosa was discovered and sent to England in 1815 and entered cultivation in 1817 as Gloxinia speciosa. This accounts for the common name for this species that is still used today. G. speciosa was not formally transferred to its rightful place in Sinningia until 1877. Not all the species in this group form tubers. One tuberless plant is Sinningia gesneriifolia. The other tuberless species have genus names of Paliavana or Vanhouttea. 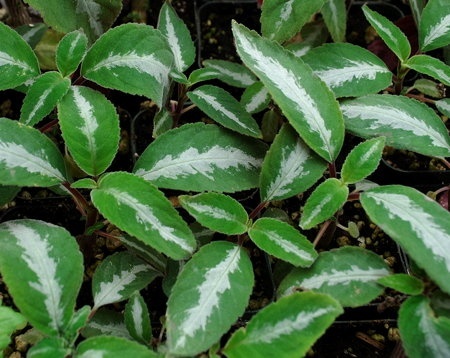 S. gesneriifolia is unusual in two respects — it has no tuber and the foliage is attractively patterned on the top surface, with red markings and ribs on the bottom. It also has attractive large white spotted flowers.